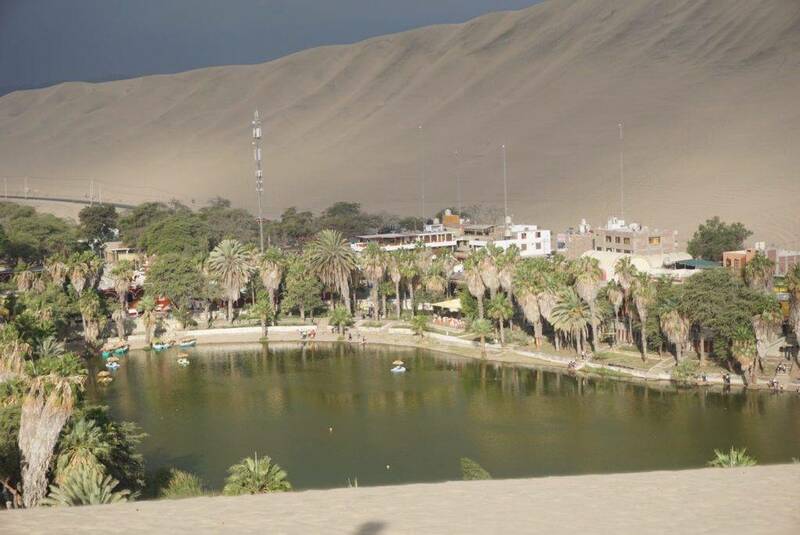 Huacachina is the cutest little oasis town in Peru. This small city has between 100-200 residents but its main attraction is the sand dunes surrounding the lake. We set out at 4pm to ride a dune buggy up and down the crazy sand dunes and then try our hand at sand boarding. Now unfortunately I still wasn’t feeling well enough to take sand boarding to the max but I had a great time riding the dune buggy up and down the sand dunes and watching everyone else sand boarding. This was a thrill of a lifetime on the largest sand dune in the Americas. The drive gives you butterflies in your stomach as you take a rollercoaster-like ride through the giant dunes and desert. 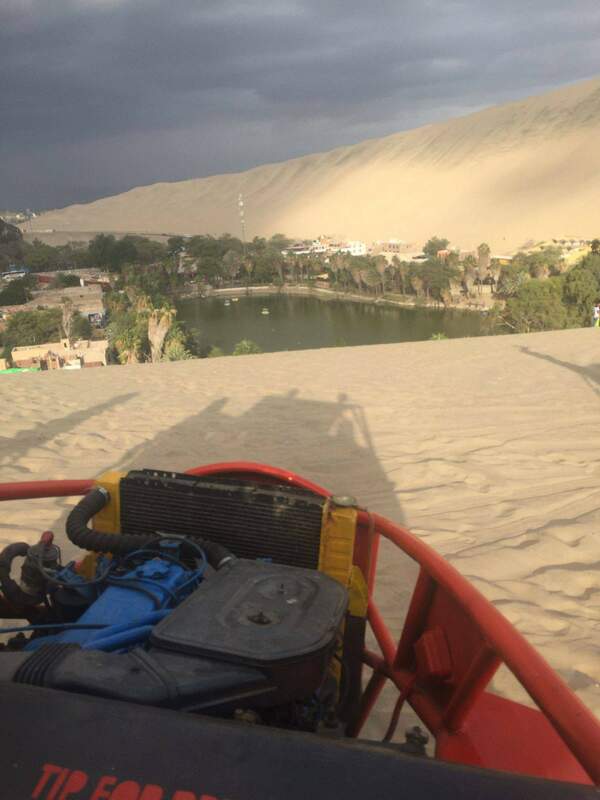 If you’re in Huacachina, you can’t miss this adventurous activity! We started off with the small dunes and tested out our boards. Its quite exhausting going up and down the hills while walking in the sand. 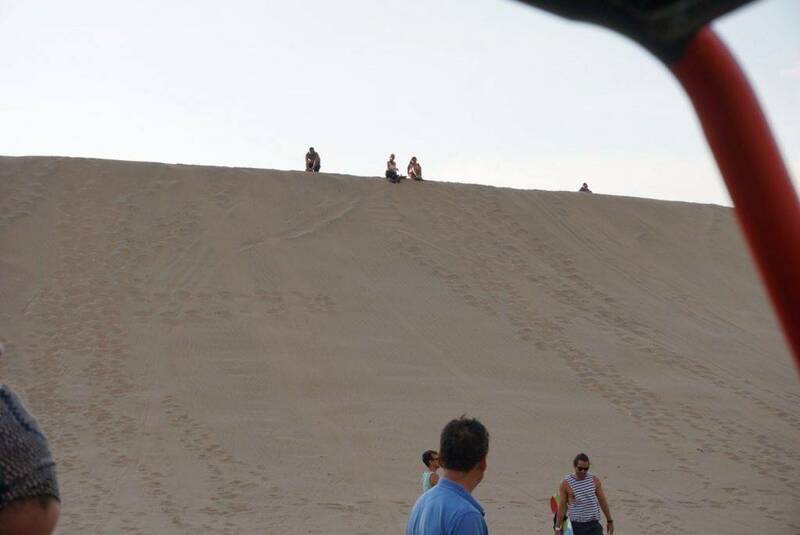 And next we did the largest sand dune. It was sooooo steep. I think the best part of this activity was the dune buggy ride and the sunset. It was so stunning overlooking Huacachina. 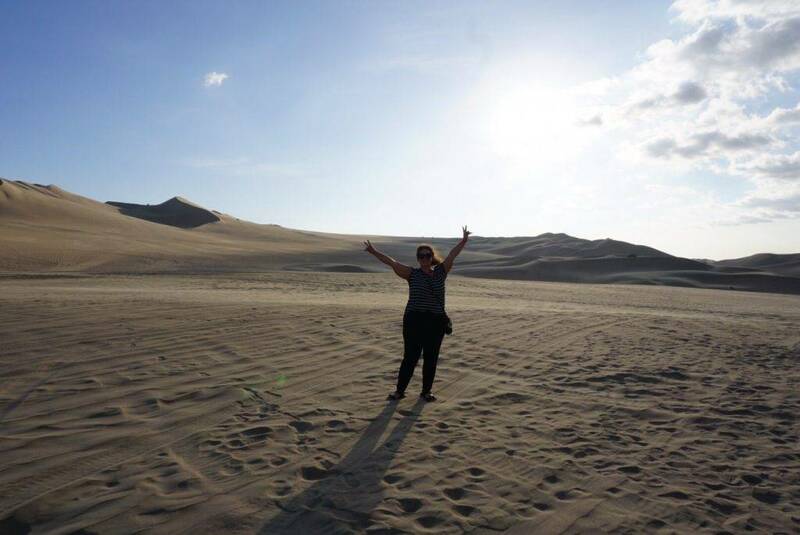 This is a definite must do when you are in Huacachina! This looks fun Nicole! My wife visited these dunes many years before I visited Peru myself. Only Cusco and Lima for me.